The main question that rises out of this is “what foods are super?” Some people specify certain plants like grasses or roots to be the key to eating superfoods, while others focus on variety being the basis for eating a superfood diet. 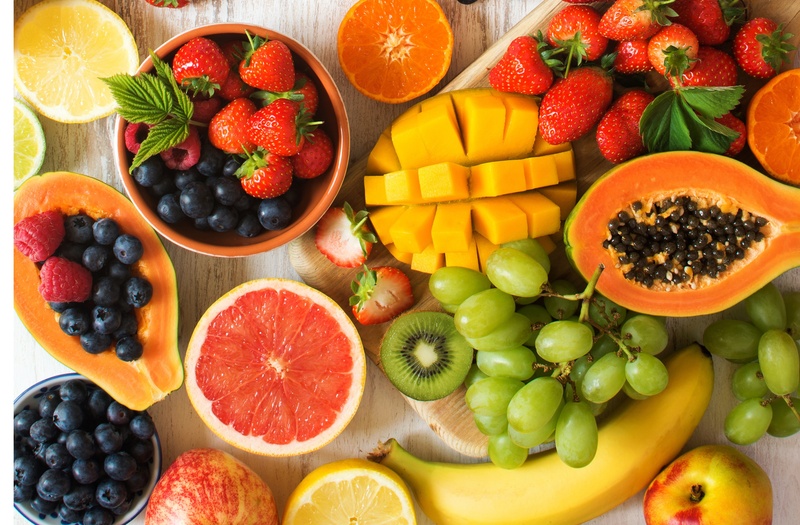 There is no scientific definition for “superfoods” so neither of these are wrong, but in a healthy diet there is certainly room for both specialist nutrient-dense foods and the foods available in any supermarket. On the whole, “superfoods” refer to plant-based whole-foods consistently of high levels of nutrients like antioxidants, vitamins, minerals and many others. A good rule of thumb is to eat through the colours of the rainbow to ensure that you are getting a variety of nutrients. Blue and purple foods (like blueberries or black berries) contain higher levels of antioxidants, which help with preventing cell damage; whereas green foods (cabbages and green beans) are high in chlorophyll, which has been linked to cancer prevention. 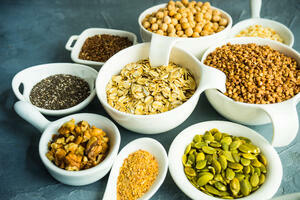 Certain food groups, like carbohydrates, can lack nutrients. However, cutting out certain carbs, like wheat and white rice, and exchanging them for alternatives like quinoa and brown rice can mean energy from those foods is more easily released into the body. As mentioned before, “superfoods” generally refers to palnt-based foods but certain fish, meat and dairy are considered by many to be highly beneficial superfoods. Oily fish is famously good for our health but so are offal, bone broth, eggs, raw or fermented milk products and certain animal fats. These foods have often been cited for their benefit to brain function and joint health; however, there are other health factors to be considered. Heavily farmed fish can have traces of harmful metals and factory farmed meats can contain traces of antibiotics. Both these things can harm you especially when ingested over a long period. If you do choose to incorporate animal product superfoods in to your diet, try to ensure you eat wild caught fish or organic/grass fed meat, eggs or dairy products. Not only does this make your food safer but often means better conditions for the animals as well. Fish and watercress has long been one of those magical flavour combinations. In this recipe, we use that magic to full effect, bringing these two superfoods together with a few other nutrient-packed ingredients for a maximum healthiness and taste. 1) Preheat the oven to 180c/350c/Gas Mark 4. 2) Wrap the salmon fillet in foil, place on a baking tray (baking pan) and bake in the oven for 20 minutes. Unwrap the salmon and allow to cool. Flake into small bite-size pieces, discarding the skin. 3)Meanwhile, mix all the dressing ingredients together thoroughly in a bowl, adding salt and pepper to taste. Set aside. 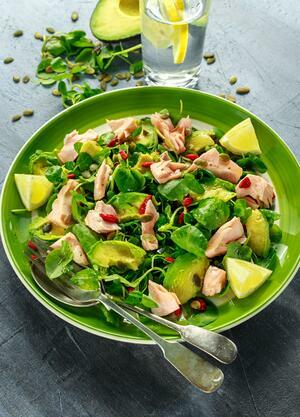 4) Remove the avocado flesh from its skin with a teaspoon and toss with the watercress and dressing. Top with the salmon flakes, toasted pumpkin seeds and goji berries. Garnish with a few lemon wedges and serve. This post is based off extracts from our book Superfoods by Saskia Fraser (ISBN: 9781786647924). This title is part of our Recipes and Preparation series which is packed with tonnes of expert advice. You can order it from our website here or on Amazon here.